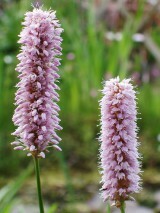 Common Bistort is a garden worthy British native perennial. At the base of the plant is a clump of elongated oval leaves on long winged stalks. 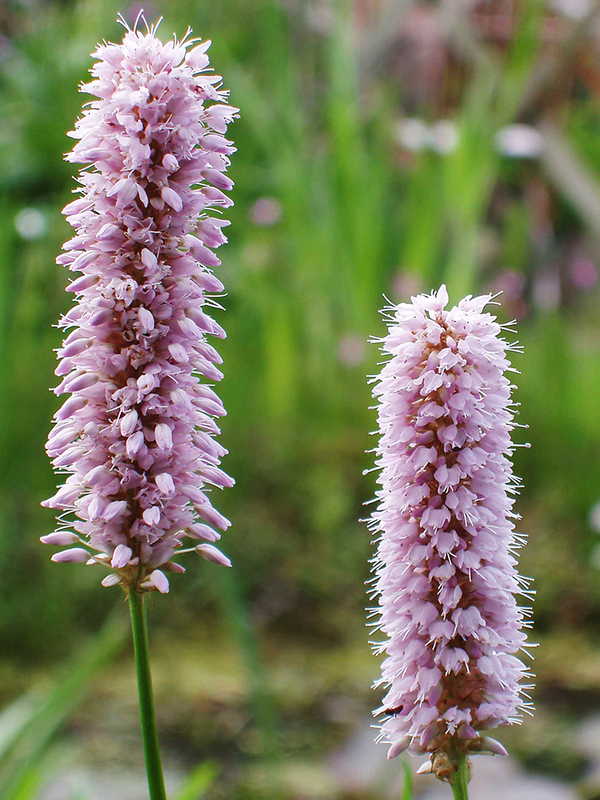 Rising up through these is the flowering stem which can reach a height of about 75cm and is topped with a club like spike of rose pink flower which are in bloom from late spring to autumn. 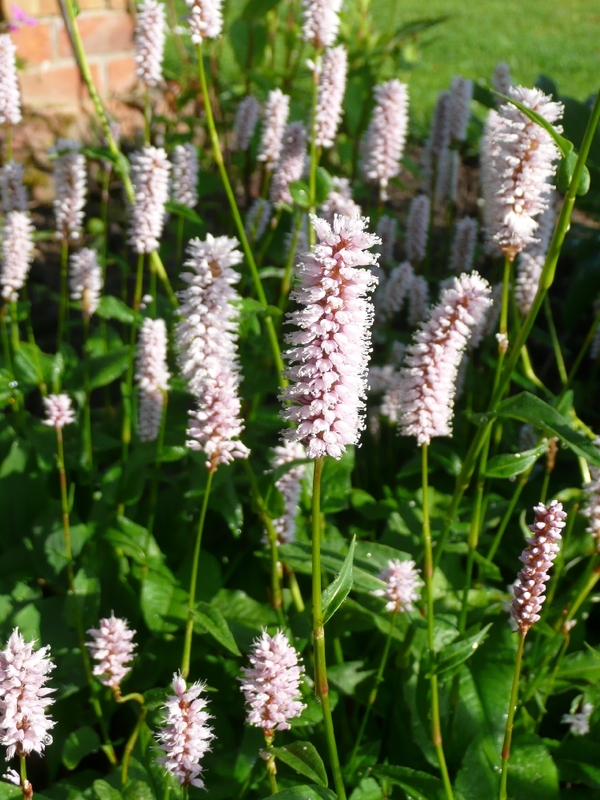 Common Bistort is a vigorous rhizomatous perennial associated with damp, slightly acidic soils in pastures, hay meadows, river-banks and other areas of quite tall, lush growth. It can survive periods of drought by losing its leaves and going dormant growing again when conditions improve. Best sown in the autumn but can be established throughout the year. It can be a bit vigorous if conditions suit but rarely becomes a problem.